The Rosetta spacecraft, which has been tagging along with comet 67P/Churyumov-Gerasimenko for almost two years, will conclude its mission in September when it collides with the comet, gathering as much data as it can along the way. The European Space Agency craft arrived at its target in August 2014, and launched a landing probe, Philae, to the comet's surface that November. The pair made headlines since Rosetta is the first spacecraft to orbit a comet and Philae is the first probe to land on a comet. Well, sort of. Philae bounced a couple of times before coming to rest in a shady spot where its solar panels could not generate enough electricity to keep it going — but it did send back some valuable pictures and data before its batteries died. 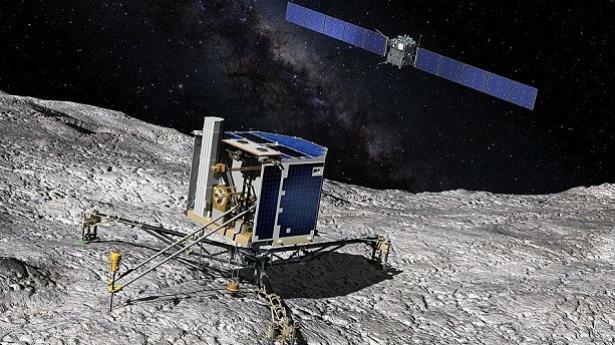 Despite Philae's hiccup, the overall mission has been a remarkable success. It's given us a detailed look into a comet, which is essentially a celestial time capsule frozen in ice. Comets preserve information about the early conditions of our solar system and the formation of the planets. Rosetta observed chemicals that may even give us a clearer understanding of the origin of life on Earth. In addition to finding hydrocarbon compounds and molecular oxygen (the stuff we breath), Rosetta detected the amino acid glycine, as well as phosphorus, an element critical to the structure of DNA molecules in life on Earth. A prevailing theory about life and our oceans is that both may have been supplied with materials delivered by comets and asteroids. We have learned that not only do comets contain large amounts of water ice, but individuals like 67P/Churyumov-Gerasimenko tell us that there are organic compounds — the chemical building-blocks of life — to be found in the leftover debris of the solar system's formation. The young Earth was at one time a hot ball of molten lava, but at some point as it cooled it acquired oceans of liquid water, and maybe soon after this, its first life forms. Questions for a long time have been, where did the oceans' waters come from, and how did life arise? Did water and organic compounds form directly from the cooling materials on Earth, or were those materials added by the impacts of comets and asteroids? Or both? The water in some comets is a nearly perfect chemical match for the water in our oceans today — a very clear "smoking gun" that comets and asteroids may have served as a sort of "bucket brigade" to deliver those waters. It turns out that comet 67P/Churyumov-Gerasimenko's water is not a match to Earth's, so comets of its type would have contributed less to Earth's oceans than others. But 67P's organic compounds, like glycine, support the idea of the cosmic origins of life's raw materials. 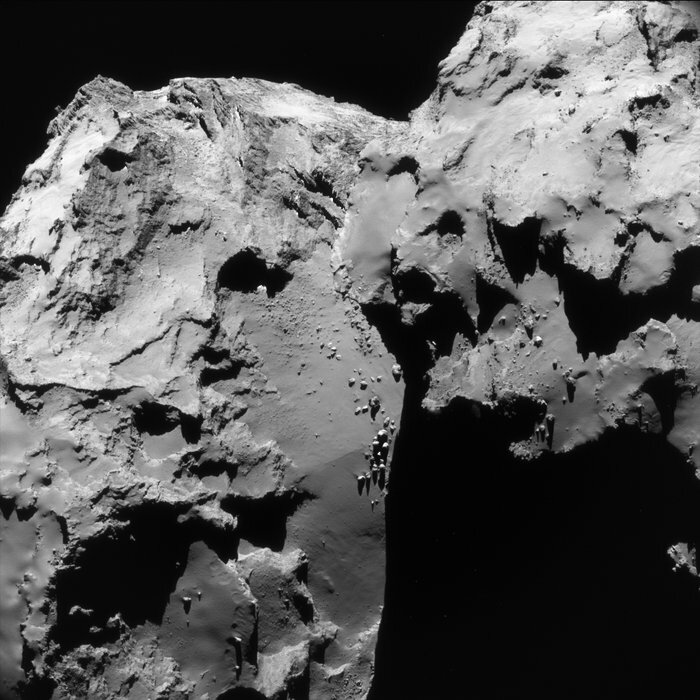 So what about Rosetta's planned collision with the comet? Do its controllers back on Earth just want to see a big crash? Not exactly. Deliberate collisions of spacecraft with natural celestial bodies are done for more than one reason. The fiery burn-up of NASA's Galileo spacecraft in Jupiter's atmosphere was done simply to prevent a soon-to-be-derelict spacecraft and its radiogenic fuel from flying around uncontrolled. In this case it was done to eliminate the possibility of a future collision with the moon Europa, on which Galileo discovered an ocean of liquid water — a potential home for life. The same fate awaits the Cassini spacecraft which will crash into Saturn in 2017. In Rosetta's case, the spacecraft would've died a natural death anyway, when the comet moves too far from the sun for Rosetta's solar panels to maintain power. A final flight straight to the comet's surface will let scientists collect data on the comet's surface and coma (the shroud of gas and dust surrounding the nucleus), hopefully right up to the point of contact. Rosetta won't be plummeting into the comet in a fiery explosion, but easing in slowly. 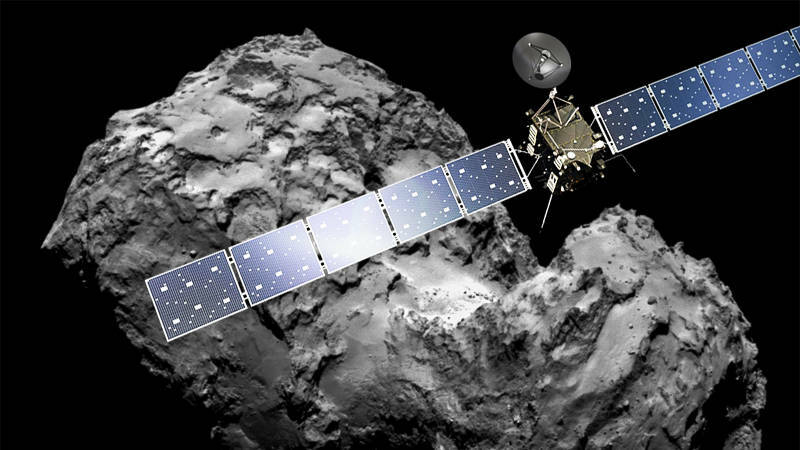 After this, Rosetta, along with Philae, will become permanent fixtures on the comet, a sort of monument and time capsule for the mission.